For a classic and simple presentation template that is easy to edit with a professional finish use Modern Report Powerpoint Template. Black and white does not always have to be boring, just add a bit of pink and it you will grab your listener’s attention, thus, giving a chic and elegant presentation. This presentation is multipurpose, not to mention, you have four different font choices to match your theme. Your theme can go from fun and playful to elegant and sophisticated. Arrange your information in unlimited ways, also, add as many images and infographics to give a more explicit message. 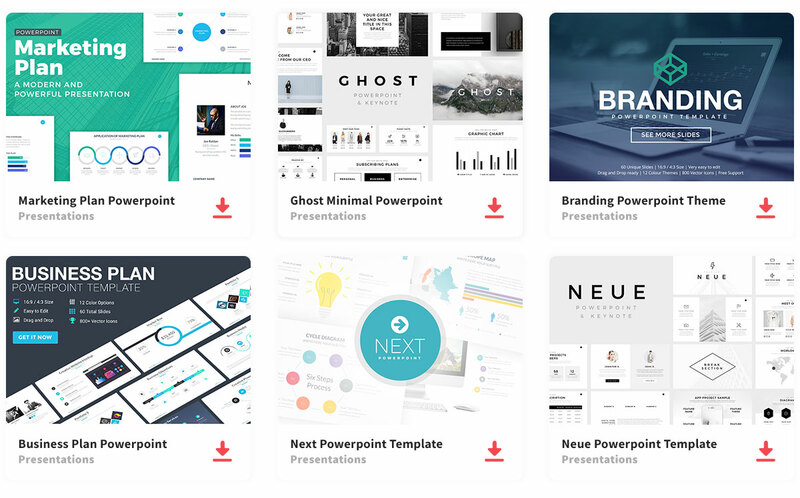 Use this free presentation template in order to stand out from everyone else. As a result, you’ll have a professional and outstanding presentation. Download the presentation as a PPT file to edit on your computer.